Dan Price's brother accuses him of "minority shareholder oppression"
Daniel Price, CEO and co-founder of credit-card processing company Gravity Payments. Seattle could learn something from Philadelphia about brotherly love. A CEO who became famous for cutting his own pay and raising the minimum salary at his company to $70,000 per year is being sued by his brother for denying him his rightful benefits as a minority shareholder. As the Seattle Times reports, Gravity Payments CEO Daniel Price announced in April that he was cutting his own pay from nearly $1 million to $70,000 per year while increasing wages for the majority of his employees. It was revealed, however, that a month earlier his brother Lucas Price signed a complaint in King County Superior Court that accused Daniel of paying himself excessively at Lucas’s expense. Gravity Payments is a Seattle-based credit-card processing firm with 120 employees that manages billions of dollars in transactions each year for over 12,000 businesses. Lucas and Daniel Price founded Gravity Payments together in 2004 as Price & Price. In 2008 Lucas agreed to a restructuring of the company, leaving himself with a minority interest while Daniel stayed as CEO. The complaint then alleges that Daniel gave himself “excessive compensations” and “engaged in a campaign designed to enrich himself and favor his majority interest in Gravity Payments to the detriment of Lucas and his minority interest." When Dan Price announced his new minimum wage plan, he said that it was in response to growing income inequality. "My pay is set based on market rates and what it would take to replace me. And because of this growing inequality as a CEO, that amount is really, really high,” he said when he announced the change to his staff – a moment that was filmed by the New York Times. He also cited psychological research that shows that, after $75,000 per year, earning more money does not make people happier. The CEO said that he would keep his salary at $70,000 “until our profit goes back up to where it is before we made this policy change." He has denied all the allegations against him, court documents show. 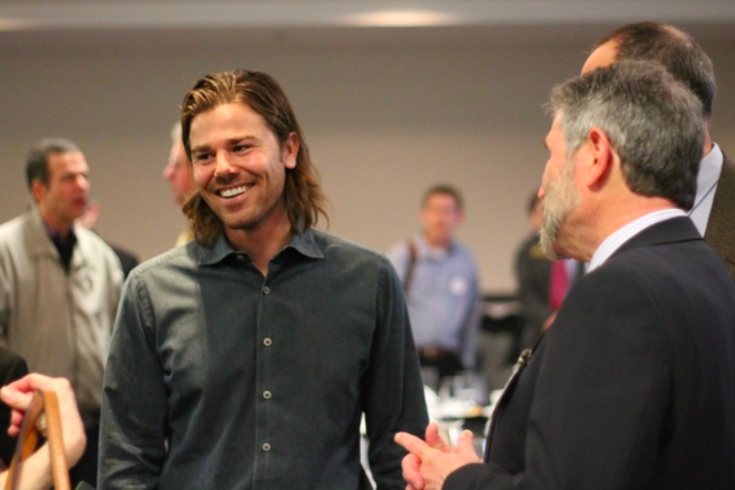 “I know the decision to pay everyone a living wage is controversial,” Dan Price told the Seattle Times. “I deeply regret the rift this has caused in my relationship with my brother, who I love, and I'm hoping and praying for a quick resolution that's positive for everybody."